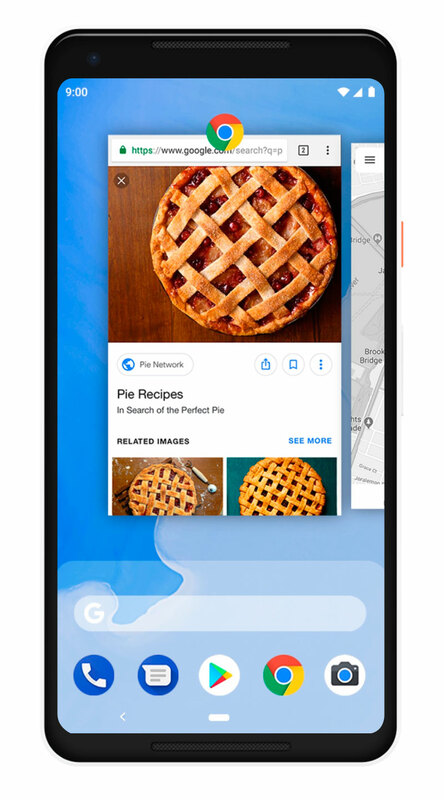 The Android 9 Pie is all about integrating AI into the OS to make Android more intelligent and offer simple new experiences. 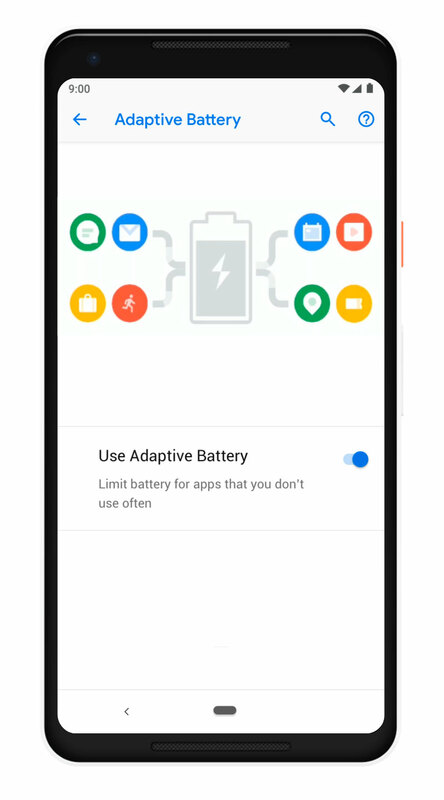 Some of the new features in Android 9 Pie include Adaptive Battery which uses deep learning to understand your phone usage patterns and prioritize battery power towards the apps and services you use the most. Adaptive Brightness in Android 9 Pie will automatically set the brightness slider based on your current surroundings. App Actions are shortcuts that will basically predict what you’re about to do next so you can do more quickly. Slices are coming later this fall and they add part of your favourite app’s UI to where you need it most, such as Google Search. Android 9 Pie also brings new system navigation based on gestures. So you can swipe up from anywhere to see fullscreen previews of your recently used app and simply tap one to go back in. Swiping up will also get you back to your homescreen. You can also use Smart Text Selection in the Overview menu (aka multitasking screen). The quick settings in Android 9 Pie have also been redesigned as well as small changes to better screenshots, simplified volume controls and more. Back at I/O 2018, Google introduced something called Digital Wellbeing which will allow you to control how much you’re spending on your phone. 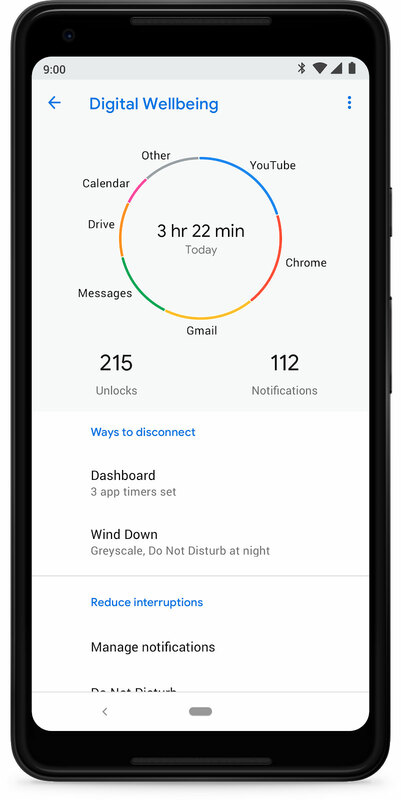 Some Digital Wellbeing features in Android 9 Pie are Dashboard which shows you how much time you’re spending in apps, unlocking your device and how many notifications you’ve received. 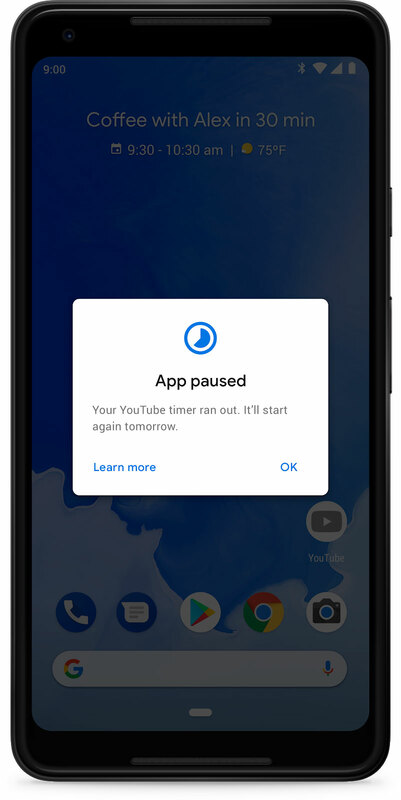 App Timer will let you set time limits on apps, so you’ll get a nudge that will tell you when you’re close to your limit and grey out the app icon when your time is done. Do Not Disturb will now block visual interruptions that appear on your screen. Wind Down Mode will enable Night Light when it gets dark outside and turn on Do Not Disturb and then fade the screen to grayscale when it gets close to your set bedtime. Digitial Wellbeing in Android 9 Pie is in beta on the Pixel phones but will officially launch this fall with Android One and other devices to get it later this year. You can sign up for the Digital Wellbeing Beta here, you’ll need a Pixel phone and Android 9 Pie. 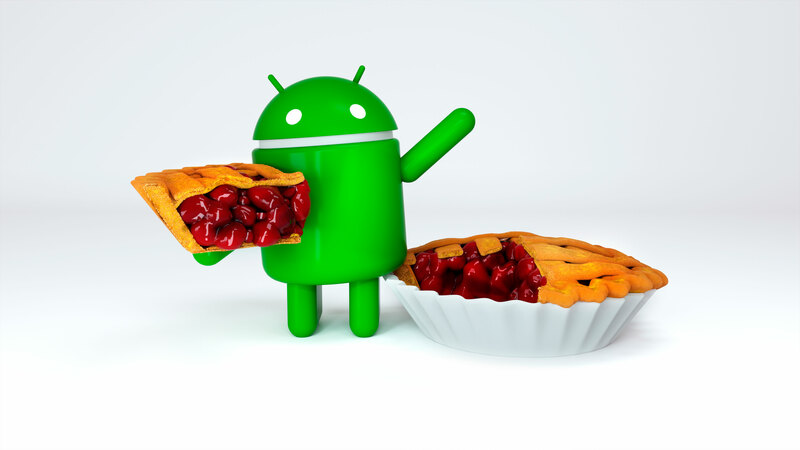 Android 9 Pie will be rolling out today with an over-the-air update to Pixel phones first as well as devices part of the Android P program from companies such as Sony, Xiaomi, HMD Global, Oppo, Vivo, OnePlus and Essential.